Chairman of the Nigerian Governors' Forum, NGF, Abdulaziz Yari, said yesterday that governors were not against upward review of the minimum wage, but lack capacity to pay it. This is as indications emerged yesterday that organized labour might resume its suspended strike over the issue as early as November 6. Briefing journalists on the outcome of the forum's meeting with the Nigeria Labour Congress, NLC, Wednesday night, Yari said the issue was not just on the agreed figure to be paid by the governors but also the "ability or resources to take care of that agreed minimum wage." Noting that his colleagues made it known that they have no problem with review of salaries but were being real, Yari, who is governor of Zamfara State, said: "The problem of the states is the capacity to pay what is agreed. As we are talking today, we are struggling with N18,000. "Some of the states are paying 35 per cent, some 50 per cent and still some states have salary arrears. So, it is not about only reviewing it but how we are going to get the resources to cater for it." Yari's statement caused a stir in the polity, yesterday. There was anxiety that labour leaders who met over the issue last night may call for industrial action. Some state chapters of the NLC, vowed to shut down the country if the minimum wage was not reviewed and implemented. The NLC had demanded N30,000 as minimum wage, the governors proposed N20,000, while the Federal Government said it could afford N24,000. Yari said Ayuba Wabba, National President of NLC, was invited to brief the forum on states' performance in the use of London and Paris Club refunds which the Federal Government disbursed for payment of salaries. He added that some states had recorded some progress in line with the condition they signed with the Federal Government but noted that some are still owing arrears. "So, we invited the national president of NLC to give us details on how some states performed, some other states that are not up to date; where are they? "They have signed Memorandum of Understanding with the NLC at the national level and their representative in states on when they are going to overcome the issue of salary arrears. That has been done and it has been taken to the Central Bank Governor to ensure that those states were also paid." Yari, who also disclosed that an update was received from the NGF Secretariat on Polio and Primary Healthcare Under One Roof, said governors expressed commitment to facilitate the development of a minimum package and investment plan for State Primary Healthcare Boards. He added that observations were raised about the issue of PHC, including concern that the function of the local governments was being taken away. "It was made clear by some governors that the PHC has nothing to do with the national, that it is just a domestic issue of local governments. "Those issues were raised, debated and we are going to put a memo in place to the National Economic Council, NEC, so that it can be discussed." Indications emerged yesterday that organized labour would resume its suspended strike over a new minimum wage on November 6, 2018. It will be recalled that organized labour on September 30, suspended its nationwide industrial action to force the government to reconvene the meeting of the Tripartite Committee on the Minimum Wage it had ealier suspended sine die, and to announce its figure after other social partners had presented their figures. Sources close to Vanguard at the meeting of leaders of Nigeria Labour Congress, NLC, Trade Union of Congress of Nigeria, TUC, and United Labour Congress of Nigeria, ULC, in Lagos, yesterday, said in the coming days there would be rallies across the country to sensitize workers and Nigerians ahead of the battle ahead. It was also gathered that each of the three labour centres would hold meetings of their organs before a joint meeting of Central Working Committee of NLC, TUC and ULC, to perfect plans ahead of what vanguard gathered "will have a very telling effect on government to ensure that both the federal and state governments do the needful. All these will snowball into the industrial action proper that will commence on November 6, 2018." Yari also said the forum received briefing on the forthcoming 24th Nigerian Economic Summit, NES, from Mr Laoye Jaiyeola, the Chief Executive Officer of the NES Group. He added that the forum also took far-reaching decisions on the state of security in the country, adding that the decisions would be channeled to the right quarters for appropriate actions. The governors present at the 8th meeting included the new Ekiti State governor, Kayode Fayemi, and his counterparts from Kebbi, Kaduna, Lagos, Benue, Niger, Adamawa, Plateau, and Kogi states. Speaking with reporters after the meeting with the governors' forum, NLC National President, Ayuba Wabba, called for commitment and sincerity by stakeholders on the issue. He said the economic challenge occasioned by continued devaluation, exchange rate, increase in pump price of petroleum products and high electricity tariff had virtually eroded the purchasing power of Nigerians. Wabba, therefore, noted that a review of the minimum wage of N18,000 is imperative, saying "what we are telling the governors is that the review of national minimum wage is due and that everybody must be committed to it in the sense that every state was given an opportunity. "When the committee started its assignment, we wrote individually to all the state governors and 21 states responded in writing. call your workers together and say I will not be able to pay. That I think is honourable and should be done." Wabba said he had spoken to the Governors' Forum not to see salary as a bonus but legitimate earnings to workers who provide critical services to the economy and other sectors. "You cannot continue to refer to workers as tiny minority. No! It is this tiny minority that services the entire population. "If the quest of government is to provide quality education, then you must use the teacher. The teacher is central. To provide quality health care, the health workers and doctors are central, and whatever you pay them is for the services that they render. "Therefore, for them to continue to render these services, they must be able to take care of their families. This is the whole concept of minimum wage." Wabba said apart from the low purchasing power of workers, the current minimum wage of N18, 000 was supposed to have been reviewed as far back as 2016, in line with the union's agreement with governments during the negotiations between 2010 and 2011. "All of these factors put together necessitated the NLC and the Organised Labour's demand for minimum wage which is in tandem with the global practice. This is supported by Convention 131 of the International Labour Organization, ILO. "It is also supported by recommendation 26 of the ILO that there should be evidence-based approach through a process of collective bargain to review the minimum wage. "Through that engagement, the committee, as we are aware, was set up in November 2017 but the actual work of the committee did not commence until March this year. And the committee gave itself a time-line of between August and September to complete its assignment. "Everybody was aware of that; even the Minister of Labour, Chris Ngige, has said severally that minimum wage will be delivered in September," Wabba said. On the Federal Government's ban on private practice by medical doctors in public hospitals, Wabba said the policy negated the existing labour law because "our law as at today allows the doctors to practice outside the office even as workers are allowed to go into farming. It is already in the law and you cannot now use White Paper to change it. It has to go through the National Assembly." Meanwhile, Ondo State Government, yesterday, aligned itself with the position of the governors' forum that states would not be able to pay the proposed new minimum wage. Information and Orientation Commissioner, Yemi Olowolabi, told Vanguard in Akure that the position of Governor Rotimi Akeredolu remained that the state cannot pay the new wage because of paucity of funds. "The position of the state government is the same with that of the governors' forum. We stand by the governors' forum position on the new minimum wage. The funds is just not there, we can't afford to pay," he said. However, Ondo State NLC Chairman, Tayo Ogunleye, faulted the NGF's position, arguing that the state governors should be able to pay whatever was agreed as the new minimum wage. Ogunleye said in an interview in Akure that "whenever the new minimum wage is approved and backed by legislation, any governor that refused to pay it should be treated as a criminal." 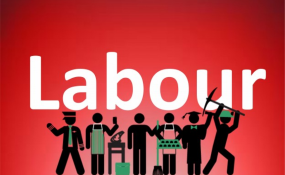 The labour leader added that workers would not compromise on the new wage and advised the governors to tow the line of peace instead of plunging the country into another labour crisis. In like manner, the Edo State chapter of the NLC rejected the governors' position that N30,000 minimum wage was not feasible. Edo State Chairman of NLC, Comrade Emmanuel Ademokun, told Vanguard, yesterday, that workers would be mobilized for a showdown with the federal and state governments on the issue. His words: "We are having our NEC meeting on Tuesday and it may lead to strike because we are not even comfortable with that figure. A tripartite committee met, two agreed and one disagreed, that means two had the majority. Why should the other say no? "The governors couldn't speak with one voice, a lot of the governors actually agreed with us but the truth is that we are going ahead with that N30,000, knowing full well that we asked for N65,000 and we couldn't even get half of it. So, after our next meeting on Tuesday, we may down tools." In Delta, Secretary of the Nigeria Labour Congress, NLC, Comrade Innocent Ofuoyeade, said Labour leaders in the states should hold their various state governments responsible if they failed to comply with the minimum wage of N30, 000 negotiated by the renegotiating team. Ofuoyeande, however, said the team should negotiate what the federal, state governments and the private sector can pay as minimum wage. In Oyo State, the NLC chairman, Mr Waheed Olojede, said it would not be right for the governors to say that they cannot afford the minimum wage of N30,000. "I think, governments at all levels should be able to pay. They should consider the fact that food prices have increased. It is also worrisome that they are saying they cannot pay. We see the way politicians are spending our money. "We all saw what happened during their primary elections; how they were using our money. Let them use these resources to benefit the citizens of this country. "We wonder why the Federal Government said each state should negotiate with their workers. But, it wasn't so in the past. The central government would approve it and other states would follow suit. I think with the resources in the states, they should be able to pay the minimum wage of N30,000', he said. When called to react to the issue, the Special Adviser on Communication and Strategy, Mr Bolaji Yusuf, promised to get back, noting that he would have to make some clarifications from the appropriate quarters. In Taraba, State chairman of the Trade Union Congress, Victor Olatunde, said the union was optimistic that the state government will comply with the directive of the tripartite committee set up to fashion out a new minimum wage that will be implemented across the federation. Though lamenting some lapses at the local government level, he noted that the state government had been paying state workers the N18,000 minimum wage as at when due. He said: "The tripartite committee includes all state governments and the private sector and with this, we are optimistic that Taraba State government will comply with the new minimum wage when implemented. "The current N18,000 minimum wage has been implemented in the state, though there were little problems on its implementation at the local government level but it had been resolved. When Vanguard contacted the State NULGE President, Musa Mahmood, he said he was not authorized to speak on the matter as the national body was currently involved in the discussion. In Benue State, Chairman of the NLC, Comrade Godwin Anya, called for a review of the revenue allocation formula to enable state governments pay workers at the end of the ongoing negotiations. Anya, who spoke to Vanguard in Makurdi, maintained that state governments should also be carried along in the ongoing negotiation between labour and the federal government to avoid crisis between labour and the state governments when any agreement was reached at the end of the negotiations. Comrade Anya said: "At the moment, the federal government is saying that the discussion was inconclusive. The matter is still with the tripartite committee that was set up by the federal government between labour and government officials. "So, there was a kind of disagreement, government was saying that the meeting was inconclusive and labour was saying that the meeting was concluded. "We are still on the matter. Leadership of Labour has called for the National Executive Council meeting to brief us on the development so far. "Though we know that any agreement must carry the state governments along because we know that it is when the governors meet and they are part of the agreement that anything reached will be meaningful and achievable. "On what we will agree as our minimum wage in Benue State, it is what the national body will agree with the federal government. "What I am even advising is that the negotiation team should agree on what is reasonable and pass same to the state councils for a uniform standard and not send something to the states to open another negotiation with the state governments. "That is why I am saying that the state governments should agree with what the negotiating team will agree upon so that when it comes to the states, we will not be expected to open talks with the governors again. "On if Benue state would be able to afford a new minimum wage, honestly the issue is that even this present minimum wage, Benue state government has been crying of its high wage which is ranked the third highest in the country which is actually true. "We are also agitating that there should be an upward review of the revenue allocation formula, so that when this new minimum wage is agreed upon, the Federal Government should review the formula to give states more money to meet the commitment." In Niger State, NLC Chairman, Comrade Yahaya Ndako Idris, said states cannot start talking on the demand on the minimum wage when negotiation between Labour and the federal government was still on. According to him, the final outcome between the Labour and the federal government will determine what Niger State will hinge its demands on. "However, whether the negotiation between the federal government and Labour has been completed or not, I am sure all states, including Niger, can pay the demand from Labour conveniently. "The major problem is that we are in a democracy and not military government and the present governors will be giving excuses because of their wasteful spending, mainly on bogus salaries of unwarranted political aides because this is where bulk of their money goes, otherwise, they have enough to pay. "What Labour expects is total compliance by all states as we will not want disparities between the federal and state governments because we go to the same market," he declared.